The Marshall Studio Classic SC20H is a switchable 5w / 20w valve amp head that continues the essence of their most iconic amp design - .. The Marshall Studio Classic SC20H is a switchable 5w / 20w valve amp head that continues the essence of their most iconic amp design - the JCM800 2203. The Studio Classic amp head SC20H brings a new level of affordability and portability to the legendary Marshall Lead series, which means you no longer need arms of steel and a hefty chequebook to get your hands on such glorious tube tone. With plenty of modern features under the hood such as a dual-input channel, power output switch, 3-band EQ, DI and several speaker load outputs, the SC20H is perfectly designed for the everyday recording process or the live gigging environment. 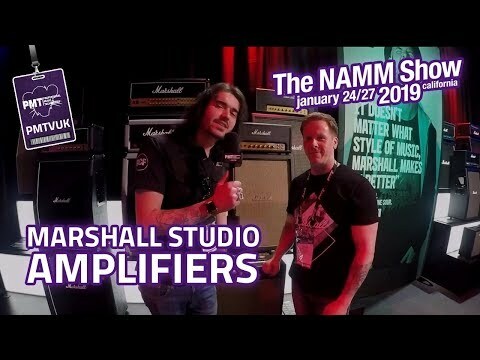 The original Marshall JCM800 was heavily endorsed by some of the most iconic 80's guitarists and beyond, including Dave Mustaine, Eric Clapton, Kirk Hammett, Jeff Beck, Zakk Wylde plus many more.